Movie-lovers would have a list of classic movies. Here we recommend a list of 100 classic movies for you. Most of them ranked in movie websites while some may not, they are classic ones that you should watch. *Storyline are quoted from imdb.com. 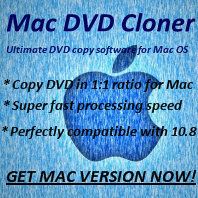 convert DVD to videos for playback on portable devices like iPhone/iPad/Android devices, etc - Any DVD Cloner Platinum. Left alone when her sister goes on vacation, a young beauty finds herself besieged on all sides by the demons of her past. This film documents the effects of a tragic bus accident on the population of a small town. A group of 50's high schoolers come of age in a bleak, isolated, atrophied West Texas town that is slowly dying, both economically and culturally. A career retrospective of Fishbone, an all African-American rock band from Los Angeles who created a high energy blend of funk, metal, ska, and punk and experienced a career as chaotic and unique as the music they created. A cinematic portrait of the life and career of the infamous American execution device designer and holocaust denier. Renoir's look at bourgeois life in France at the onset of World War II. An assorted cast of characters - the rich and their poor servants - meet up at a French chateau. A riveting portrait of the great writer whose stories became the basis of the Broadway musical Fiddler on the Roof. Sholem Aleichem: Laughing in the Darkness tells the tale of the rebellious genius who created an entirely new literature. Plumbing the depths of a Jewish world locked in crisis and on the cusp of profound change, he captured that world with brilliant humor. Sholem Aleichem was not just a witness to the creation of a new modern Jewish identity, but one of the very men who forged it. A corrupt rightwing folksinger runs a crooked election campaign while only one independent muck-raking reporter is trying to stop him. When their best friends announce that they're separating, a professor and his wife discover the faults in their marriage. A wealthy woman and her live-in housekeeper must adjust their entrenched routine and relationship when Buenos Aires is plunged into economic crisis. In 2007 Mobile, Alabama, Mardi Gras is celebrated... and complicated. Following a cast of characters, parades, and parties across an enduring color line, we see that beneath the surface of pageantry lies something else altogether. This study of Cuba--partially written by renowned poet Yevgeny Yevtushenko--captures the island just before it made the transition to a post-revolutionary society. Moving from city to country and back again, I AM CUBA examines the various problems caused by political oppression as well as by great discrepancies in wealth and power. Beginning in Havana in the pre-Castro era, we see how foreigners contributed to the city's prostitution and poverty; this sequence features dreamy, hallucinogenic camera work that creates a feeling of unease and dislocation. Then, in glorious images of palm tress and fertile land, the film looks at the sugar cane fields in the countryside, and the difficulties faced by peasants working the land. Finally, back in the city again, leftist students battle the police and a corrupt government--and pay a high price for their rebellion. Using almost no dialogue, the film follows a number of residents (both human and animal) of a small rural community in Hungary - an old man with hiccups, a shepherdess and her sheep, an old woman who may or may not be up to no good, some folk-singers at a wedding, etc. While most of the film is a series of vignettes, there is a sinister and often barely perceptible subplot involving murder.